A magical mirror with a candle holder on both sides. A warm atmosphere, made even more pleasant when the two candles are lit. 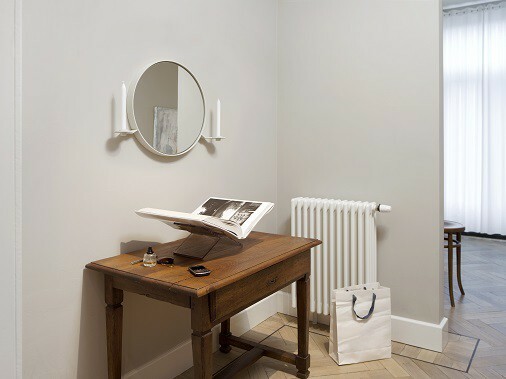 The 101 Candelabra Mirror is designed by Kranen/Gille for Functionals. Attractive, elegant, and simple in its design. A real eye catcher. This mirror has a white powder coating and comes with 2 white candles. 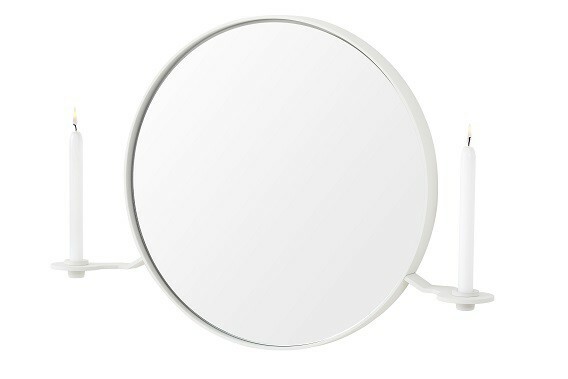 The 101 Candle Holder Mirror is made of cast aluminum. The mirror (including frame) has a diameter of 50 centimeters. The width (including candle holders) is 71.5 centimeters, the depth is 10.5 centimeters. The candle cups can be removed and are therefore easy to clean. 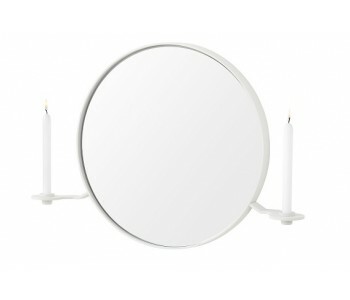 This 101 Candelabra Mirror has a white powder coating and comes with 2 white candles. Both designed and manufactured in the Netherlands.